Telenor Pakistan has revolutionized the whole process of money transfer. 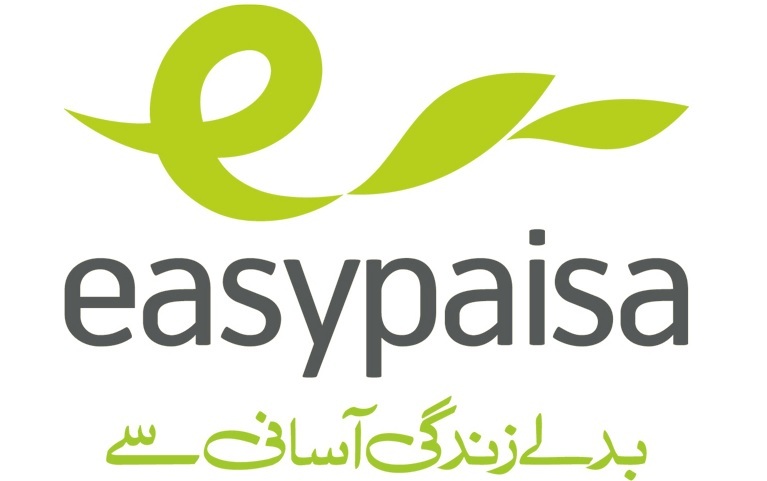 It launched easypaisa service in Pakistan with the collaboration of Tameer Microfinance Bank. Easy paisa provides a safe, secure, unique and comfortable way to transfer money to anyone and anywhere in Pakistan, especially this service is for those who do not own a bank account. You can visit your nearby easypaisa shop or can open an easypaisa account on your mobile phones. This service is not limited to just Telenor users, users of any network in Pakistan and individuals without a mobile phone can use many services for easy paisa. EasyPaisa service has been launched in 80 cities of Pakistan and has more than +75000 outlets. Ver first step is to dial *786# from your mobile. A list of services will pop up, select bill payment from the list then select bill type and utility bill company. Enter your consumer number and confirm the transaction by entering your 5-digit pin. You will receive a confirmation message from 3737. In a month you can make first ten bill transactions without costs. Rs.10 will apply on the 11th transaction. It is valid for both utility and internet bills. Type VIEWBILL(space)company name(space)consumer number(space)PIN and send it to 0345-111-3737, to transfer money from other cellular systems. Just bring your bill to any retailer shop and pay the given amount. A confirmation SMS will be sent on your mobile otherwise message will be sent to retailer mobile. The retailer will stamp the bill which contains transaction and agent ID. Easy Paisa gives you four different approaches to transfer money if you have an easypaisa mobile account. Through this service, you can transfer money to the selected list of vast networks of banks. Secure, fast and instant service of transfer. A verification message will be sent to both sender and receiver by 3737.Funds will transfer in your bank account through mobile account number. 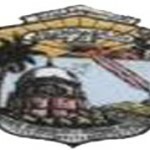 No charges will apply on receiving of funds. Dial *786# from your Telenor connection. Select ‘’Money Transfer” from the service list. Select “Bank transfer” then select bank name from the list. Enter receiver account no and account CNIC, money to be transferred. Verify details and enter a pin for confirmation. Type SENDBANK(space)Bank name(space)bank account no(space)Receiver mobile(space)enter amount(space)PIN and send to 0345-111-3737. List of all banks and rates on each slab of the amount is available on easypaisa official site. By utilizing your cell, you would now be able to send cash to any individual with a substantial NADRA CNIC number, through Easy Paisa Mobile Account. You can quickly open an easypaisa account if you have a valid CNIC. Secure, real-time and reliable transactions as always. Dial *786# and service list will be displayed. Select “Money transfer” and then money transfer type CNIC. Enter receiver mobile number and CNIC. Confirm by adding 5-digit PIN. You will receive the confirmation message from 3737. SENDCNIC(space)Receiver CNIC(space)Receiver mobile no(space)5-digit passcode(space)Enter amount(space)PIN. List of rates on each slab of the amount is available on easypaisa official site. Anyone can use this service that has a valid and registered easypaisa account and can send money to another easypaisa account free of charge. From your phone dial *786#. Select “Money transfer” and then mobile account type. Select “Receiver Bank” then enter receiver mobile no and amount to be transferred. Both sender and receiver will receive a confirmation message. Send the SMS to 0345-111-3737, i.e., SEND space Mobile Account space Amount space PIN. First ten money transactions are free in a month. 1.74% of the transferred amount will apply to ten transactions. You can send money to any mobile number from your easypaisa account anywhere in Pakistan. No charges will be applied. Dial *786# from your phone. Enter receiver’s mobile number and amount. You can cancel the debt before the receiver receives it. Enter Easy Paisa Account PIN to confirm cancellation. To send and receive money from easypaisa without a mobile account you must have a valid CNIC and mobile number. Go to the nearby retailer and ask him to transfer money, on successful transfer you will receive a passcode that should be told only to the receiver. Both sender and receiver will receive the confirmation message. You can withdraw your money from any retailer shop, or money can be sent to your home if requested. Any person having a mobile account can easily purchase prepaid balance for their use or others. Other than the prepaid balance you can also pay any postpaid bill. Easyload can be sent to any prepaid and postpaid number. No extra charges will be applied. By dialing *786#, you will go to the service screen. Select “Mobile Load” then select prepaid or postpaid. Select mobile network, Enter mobile number and then enter the amount. Confirm the process by entering 5-digit PIN. Users of other networks can type ELOAD(space)company name(space)mobile number(space)amount(space)PIN and send to 0345-111-3737. Initial 15 easyload transfer for every month are free and following transaction will be charged at Rs. 2 + tax per transaction. Minimum Easyload requirements are given on the official website of easypaisa. Any person with an easypaisa account can get their easypaisa ATM card. This card will work on all ATMs in most secure way. You can make a cash withdrawal and balance inquiry through ATM card. On cash withdrawal there is the monthly and daily limit. No fees will apply for cards. These ATM cards are accessible at all Telenor Service Centers, Tameer Bank offices, chosen Easypaisa retailers and furthermore through home conveyance on asking for at Easypaisa helpline 3737. The easypaisa agent will ask for your number and send a request to your number you can confirm the request by entering your PIN. You can also initiate the linking request of ATM cards by dialing *786#. Card issuance charges will be Rs.200. Through Tameer ATM card withdrawal is free. 1-Link/M-Net fees are Rs.15 + 0.5% of the transaction money. Easypaisa international home transfer gives you the benefit to receive the amount in your mobile account sent from anywhere in the world. Money must be directed through Xpress Money, Placid, Al-Fardan Exchange UAE or VALYOU. Funds will be transferred in less than one hour. Simple and quick registration, easy withdrawal, secure and real-time transfer of money through this service. Sends will send money to receiver CNIC or driving license and share transaction PIN with the receiver. The receiver can call to easypaisa helpline to transfer money to the mobile account. The receiver will verify all details and Transaction PIN, and within 30 minutes, Money will be in your account. Send can directly send money to receiver mobile account by visiting branch. The receiver will receive a confirmation message of successful fund transfer to mobile account. If the recipient does not have a mobile account, then visit our Sales & Service Center or Tameer Bank, Telenor Franchise, branch with his/her original CNIC and Transaction ID. A receipt will be given to you in the collection of payment. If you have a CNIC card or an easypaisa account, you can send money to any bank account. Visit any Telenor Franchise, Customer Care Center or Easypaisa Agent with your original CNIC and a photocopy. Give the amount, receiver name, account no and bank no to the agent with your CNIC. Confirm all the details before transaction of money. A confirmation message will be sent to both sender and receiver. Paythrough Mobile account: Click on pay through the mobile account, then enter your mobile number and email id. You will receive a confirmation prompt select ‘”yes,” enter your security PIN. You will receive a mail of confirm transaction. Paythrough Easypaisa Shop: When you select the option easypaisa shop, you have asked to enter mobile no and email id. Next, you will receive a token number. Go to nearest retailer give him your token no, mobile no, and CNIC. 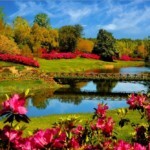 After the Whole process, you will receive a confirmation message. Paythrough Card: The simplest way is only select easypaisa payment through card then fills in essential details and your transaction will be confirmed. Register for an easypaisa account and deposit funds in your account. For retail payment, get an NFC sticker by calling and sending SMS. At any outlet, tell him to pay through easypaisa, click your NFC sticker on retailer device. A confirmation message will be received. List of associated outlets is available on the official easypaisa website. Through easypaisa, you can efficiently use any of this service and can make your life more comfortable and comfortable. Furthermore, feel free to contact below, if you are suffering from any issue regarding easy paisa services in Pakistan. Our experts are always ready to sortout your problems.